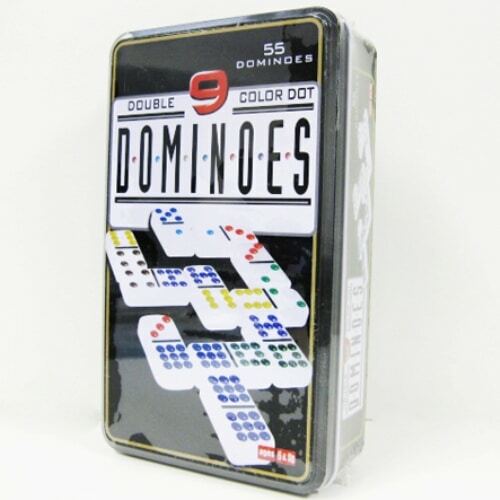 The double nine domino set has 55 domino pieces, and each piece has one to nine color-coded dots at each end, or no dots (blank). The color dots help children make matches easier. The pieces can be used to play not just one, but many different domino games.